Madhura Raja is an upcoming Indian Malayalam-language action film directed by Vysakh, written by Udaykrishna and starring Mammootty and Jai in the lead roles. Mammootty reprises his role Raja from the 2010 film Pokkiri Raja even though Madhura Raja is not a sequel. Nine years after ‘Pokkiri raja’ Vysakh pairs up with Mammootty for Madhuraraja with Mammootty reprising his role as the titular character. Udayakrishna, the commercial-hit maker, spins this story catering to Mammootty fans waiting to see him in a larger-than-life avatar. And Madhuraraja is everything that they were waiting for. Pambinthuruth needs their hero Madhuraraja, when liquor baron Nadesham makes their hometown island his venue of crime. Though Chinna raja (Jai) is sent to contain a skirmish in the island things spiral our of his control and Madhuraraja needs to come to save the day. The film starts with promise. 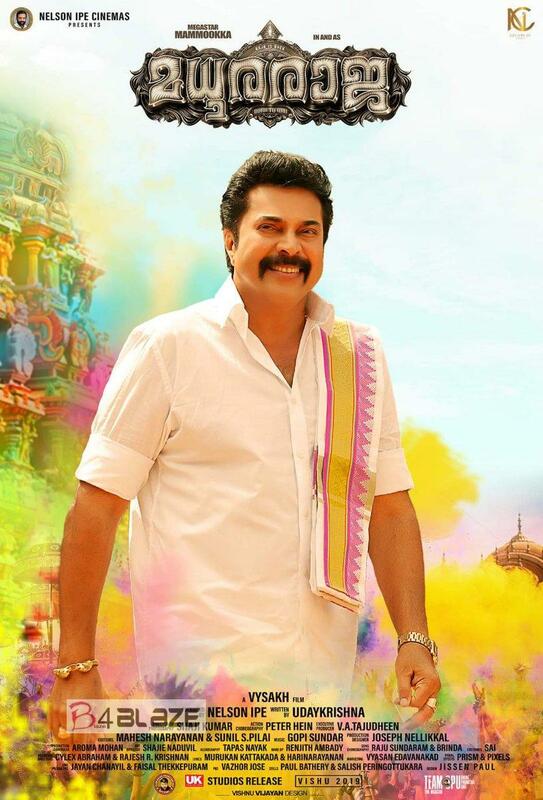 Though Mammootty, as Madhuraraja, takes a while to show up on screen, when does he does so with quite a splendor. Salim Kumar as novelist Ezhuthachan Alias Manoharan is reminiscent of the old Salim Kumar who cracked us up with his wise repartee. A Salim Kumar who had been missing for quite a while. The much touted Sunny Leone comes in as the main dancer to a song, dances quite well, and is never heard of or seen in movie ever again. Gopi Sundar’s music is vibrant, catchy and complements the narrative quite well. In the second half the narrative explores a slightly political and social trope. Kudos to the attempt, but Udayakrishna doesn’t exactly meet the standards of political commentary an average Malayali is used to, thanks to Renji Panicker in the 90s and Murali Gopy henceforth. In short, Udayakrishna’s political commentary seems half baked and forceful. Madhuraja is a celebration of the megastar’s masochism. So, the narrative hardly gives any other character a chance to expand, let alone any female character. All the other characters, even Jai, winds up a prop. Madhuraja is everything they promised it would be. It’s has ample over-the-top action choreographed by Peter Hein, the Megastar in a larger-than-life avatar, his slapstick comedy, and a dance-song by Sunny Leone. What it lacks in story and depth it makes up with the aforementioned. And, last but not the least, Madhuraja closes with a promise of a sequel, ‘Minister Raja’ where Madhuraja has becomes a minister of the state. 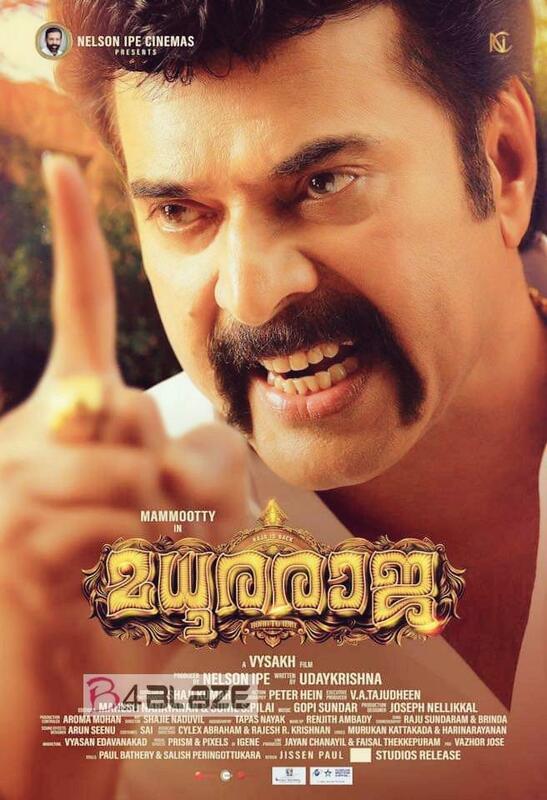 Movie description : Madhura Raja is an upcoming Indian Malayalam-language action film directed by Vysakh, written by Udaykrishna and starring Mammootty and Jai in the lead roles. Mammootty reprises his role Raja from the 2010 film Pokkiri Raja even though Madhura Raja is not a sequel. Carbon Box Office Collection Report, Movie Real Review !! Seethakaathi Box Office Collection Report, Full Review and Rating. Contessa Box Office Collection Report, Full Review and Rating. Aravindante Adhithikal Malayalam Movie Box Office Collection Report, Movie Real Review !! Captain Malayalam Movie Box Office Collection Report, Movie Real Review !! Aana Alaralodalaral Box Office Collection Report, Movie Real Review ! !